Armie Hammer Calls Out Anti-Trans Heckler at "Straight White Men"
When a heckler shouted at trans activist Kate Bornstein during the Broadway show, Hammer not only tweeted at the woman but vowed to report her to the theater. 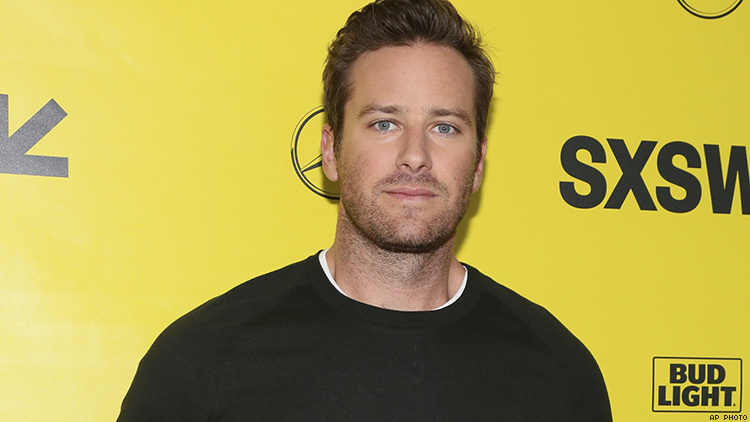 Call Me By Your Name star Armie Hammer and current star of Broadway’s Straight White Men spoke out when a heckler shouted “You’re not welcome here!” at gender non-conforming trans activist and author Kate Bornstein during a performance last week. The heckler shouted during the show’s opening as if it were some sort of invitation when Bornstein appears on stage appears with two-spirit artist Ty Defoe and says, “Good evening, ladies, gentlemen, and the rest of us.” The heckler and her husband allegedly also booed loudly while Bornstein was on stage. Hammer, an LGBTQ ally, tweeted at the anti-trans heckler following the performance. To the woman in our audience who felt it was appropriate to yell, “You’re not welcome here!” at Kate Bornstein, our beloved friend, co-worker, and now family member..... feel free never to come back. Straight White Men costar Josh Charles took Hammer’s sentiment a step further in his response to Hammer’s tweet. Meanwhile, Bornstein posted about the incident on Facebook. Audience members who endured the heckler's outbursts responded to Hammer’s tweet, and with their help, her seat was pinpointed and Hammer tweeted that he would report her to officials at the theater.